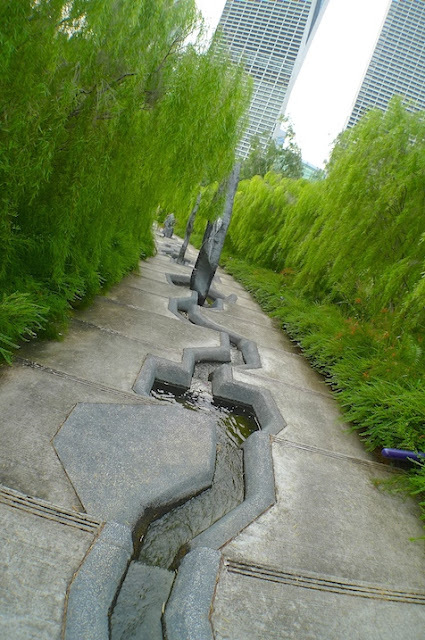 I am sorry to say I have forgotten all about the Spiritual Feng Shui seminar by Lillian Too which I blogged about back in 2013! I was supposed to do 3 posts on it, but I had only done 2. 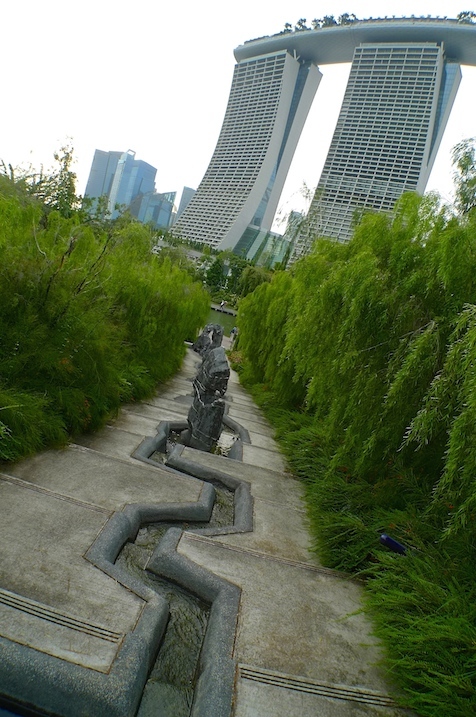 The Hungry Ghost month that is upon us now somehow reminded me about this seminar so I was thinking what better time than now to continue sharing what I had learnt! Anyway, to refresh your memory, please click the links below for Part 1 and Part 2. Now, let's move on to Part 3. 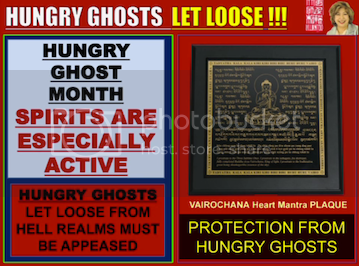 This is the month where the Hungry Ghosts from Hell are let loose to walk the earth. Lillian Too said we must be careful and be protected from these ghosts. One way is to display this Vairochana Mantra Plaque. She told us a short story how she learnt about this Vairochana Mantra. She was on the phone with her guru, Lama Zopa Rinpoche who was in California. At that time, there was a wildfire about 40 miles away from where Lama Zopa was staying. Lillian was concerned and asked why he had not evacuated from the area. Rinpoche told her not to worry, he had the Vairochana Mantra with him and he believed the wind direction would change and blow the fire away from his place. And indeed, that was what happened later. From that incident, Lillian made sure she get hold of the Vairochana Mantra. 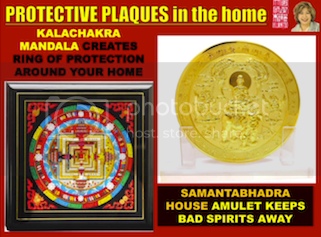 Besides that, Lillian also recommends the Kalachakra Mandala and the Samantabhadra House Amulet to keep bad spirits away. Now besides the Hungry Ghosts that only come out for a month every year, there is another type of ghosts which we called spirits. Every space has its own local spirits, even your own home. These spirits are neither good nor bad. They can either cause problems or protect you from problems. These are some things that local spirits can create. 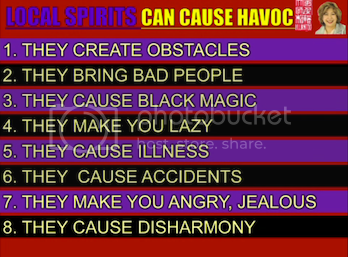 Talking about black magic, do you know that all black magic are caused by low level spirits? If you do not understand what are low level spirits, read Part 2 for more information. Since black magic is not caused by higher ranking and more powerful spirits, you do not need to be afraid. However, you really do not want to be a victim of black magic! The most powerful black magic, according to Lillian Too, does not come from Indonesia or Thailand. Guess where does it come from? India! 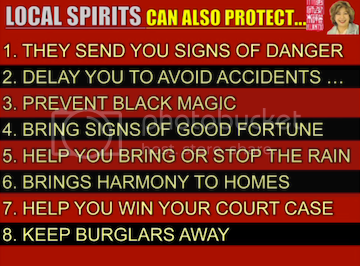 Yes, Indian black magic is the most powerful and India has the oldest tradition in black magic, so be very careful! Looking at the list of things that local spirits can cause, now you may wonder if sometimes you really feel lazy, or the local spirits trying to make you lazy. When you feel jealous of your neighbour, is it really you or the local spirits whispering bad things in your ear to make you feel jealous? So, be aware. However, the good news is local spirits can also protect you! Here are the list of things they can protect you from. Lillian Too said that they can delay you to avoid accidents. For example, you were about to be involved in a car crash but because you could not find your car key, the timing was delayed and you avoided the accident. As for stopping the rain, Lillian Too said all bomohs in Malaysia can stop the rain - it's no big deal. Lillian said she teaches how to stop the rain in her Magic Class. And also how to bring the rain too. 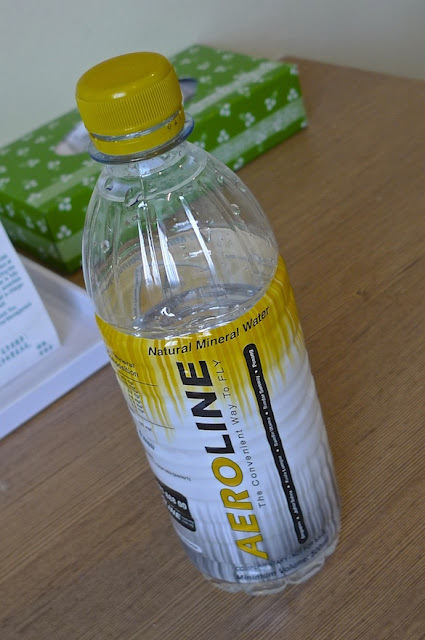 Oh, Lillian also mentioned about the haze that blows in from Indonesia every year. She said the haze was caused by spirits, not the weather! The spirits could change the direction of the wind and that's how Malaysia ended up with the haze. 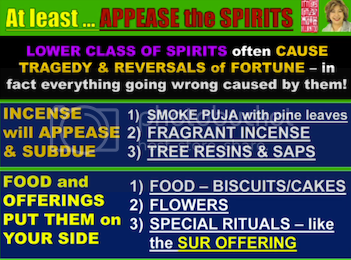 But of course, you can get the spirits' help to create rain to clear away the haze! Local spirits can also keep burglars away! Interestingly, Lillian said that try as they might, the burglars simply could not find your house. It's as if your house is invisible to them! So how you get the local spirits on your side so that they help protect you instead of creating problems for you? Appease the spirits by burning incense and also offer food and other offerings to them on a regular basis. Lillian also mentioned about the wildfire which is always happening in the United States. Why are there so many fires over there? In the olden days, the Red Indians used to give smoke offerings to the spirits. But as more and more Red Indians moved to the city, these tradition is no longer practised. So the spirits decide to create their own smoke offerings - by burning the pine leaf forests. We can say that the smoke from the fire is like incense to them. Spirits have many different ranks. High ranking devas (eg. Yaksha, Rak-Sha-Sha) control the sky and fire elements. Middle ranking beings (eg. 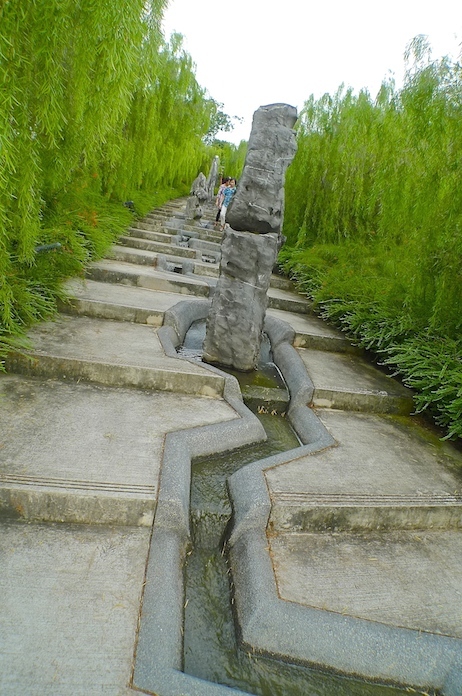 Naga, Gyalpos) control Water and Earth elements. Most obstacles like accidents, illness, difficult people are usually caused by Gyalpos. 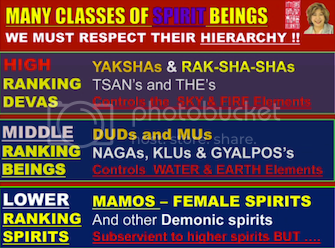 Lower ranking spirits like Mamos are actually female spirits who like to disturb men and even women. During the seminar, Lillian said not to make fun of them because they were in the room! That actually gave me the creeps! Mamos are very beautiful but do not be afraid of them - Lillian said they are subservient to higher ranking spirits. Lillian Too said we all need Cosmic Protectors. These are powerful spirits that have sworn to protect us. They control the lower class spirits (mentioned above). To request for their protection, you need to offer food, tea, incense, and sometimes alcohol. 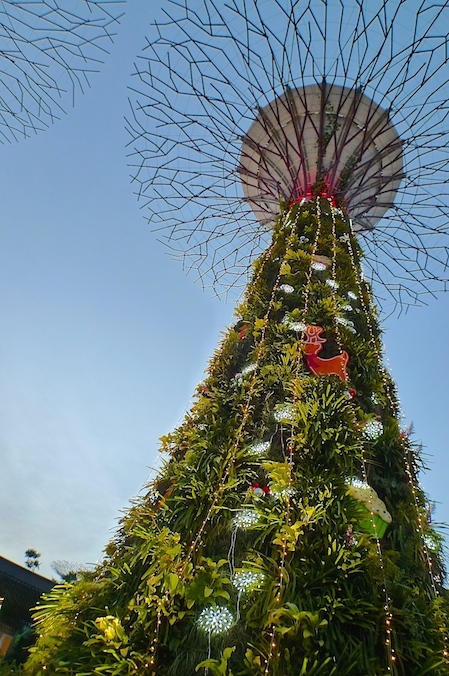 Lillian suggests planting a tree with pine leaves so that you can cut the branches and leaves and burn them to produce aromatic incense for the cosmic protectors. As for food, you can offer white sugar, butter, honey, and biscuits. In fact, Lillian said they love Lexus biscuits and Quaker oats biscuits! Who are these powerful protectors? 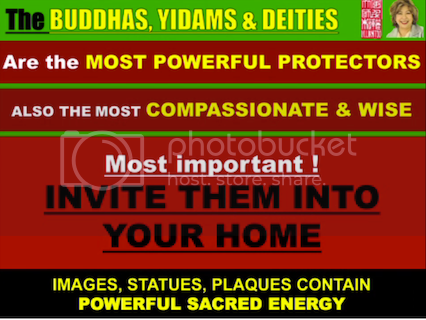 They are the Buddhas, Yidams and Deities. Think of them as enlightened beings, not Gods. They are most compassionate and wise. They are always on your side. They help everyone who request for their protection. In fact, you do not even need to be a Buddhist for them to help you. They help you irrespective of your race, color and religion. Lillian also introduced to us the White Goddess Umbrella also known as Guan Yin to the Chinese. The White Goddess Umbrella protects us from all forms of obstacles and black magic. If you suspect someone being harmed by black magic, just bring this White Goddess Umbrella plaque and hang it in his or her house. Alternatively, you can get him or her to wear this seed syllable "OM". 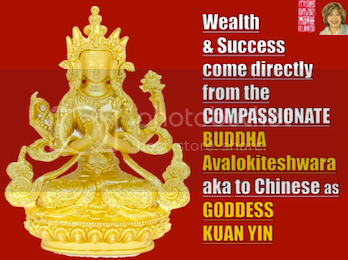 Goddess Guan Yin (also spelt Kuan Yin) also brings us wealth and success. 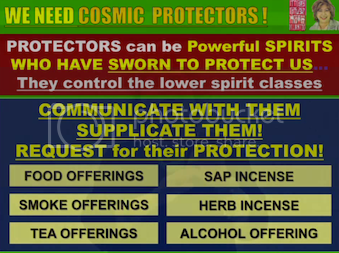 There are different types of incense for different cosmic protectors. 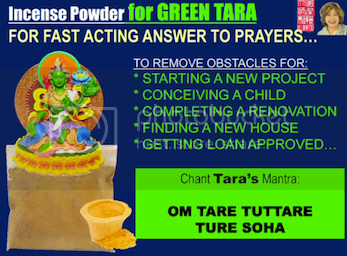 In the case of Green Tara, you have incense powder (available from Lillian Too's feng shui shop and online) specifically for Green Tara. Also, chanting Green Tara's mantra helps a lot too. 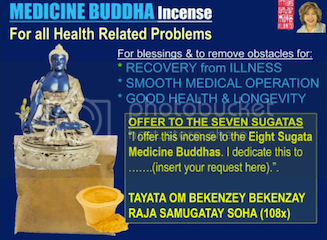 Medicine Buddha helps with health related problems. Chanting the mantra also helps! 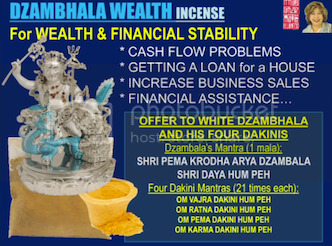 The White Dzambhala solves your money problem. Bathing the Dzambhala and the four Dakinis daily while reciting the mantra will help attract big money luck. 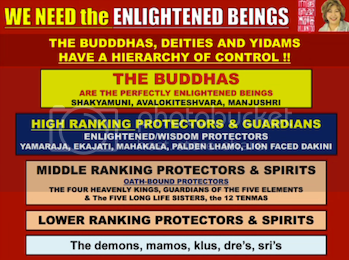 To sum it up at the end of the seminar, Lillian said that we need the enlightened beings and the cosmic protectors to protect us and we need to appease the lower ranking spirits. 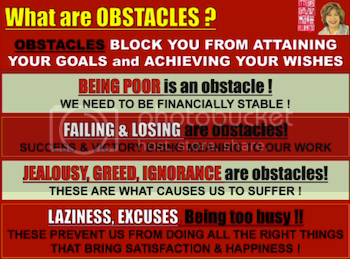 Otherwise, there would be lots of obstacles thrown our way. 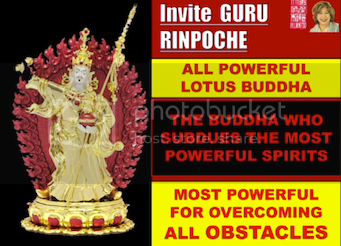 Finally, invite Guru Rinpoche into your home - most powerful for overcoming all obstacles. I hope you have found this post most interesting and perhaps benefitted from it in some way. I am just sharing what I learnt at the seminar. Of course, everything is simplified for us to understand easily. 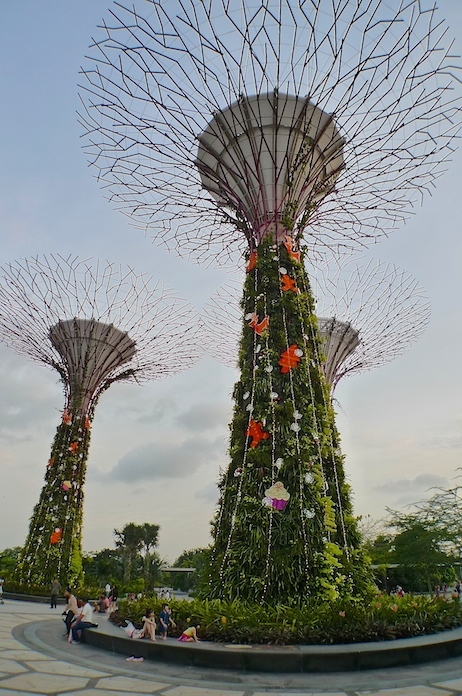 If you wish to learn more, or go deeper into Spiritual Feng Shui, do get in touch with Lillian Too or visit her World Of Feng Shui shops for advice.